JOIN US for a fundraising concert with Tony Barrand and Keith Murphy on Friday, November 6 at 7PM on the Main Floor of the Library. 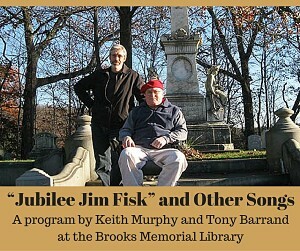 Nationally renowned and locally acclaimed folk musicians, Tony Barrand and Keith Murphy will perform ballads and songs from West Dover’s Atwood family Songs of the Hills collection. Whether one is sitting around the caveman’s fire or the conference table, no signal is more important to humans’ interpreting interactions and predicting behavior than th esmile. 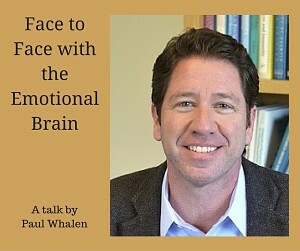 Dartmouth Professor of Psychological and Brain Sciences Paul Whalen explores how the brain processes facial expressions and how that helps us understand our emotional lives. Underwriter: Chroma Technology Corp.
One of the four-part Vermont Humanities Council reading and discussion series, Masters of the Short Story, with Dr. Richard Wizansky, A VHC scholar.